Sundance Meadows in Bend, OR. is a picturesque planned development community designed to cater to folks who desire to live their lives in the great outdoors. The incredible panoramic views include the most beautiful mountain ranges found in Central Oregon. All of the community’s amenities are owned by the homeowners (members) within the community who are required to pay a “Deed Fee”. With a stake in the common area, there is a real sense of pride in ownership. The development also acts as a vacation destination that includes camping areas and homes that are available for rental on a weekly basis. See below for amenities that are free to “members” and vacationers. Sundance Meadows is located approximately 136 miles east of Eugene and 169 miles southeast of Portland in Central Oregon, at the junction of state highways 20 and 97. The housing development is characterized by its network of non-passage streets, but offers direct access to a couple of Bend’s most traveled streets like 27th and Bear Creek Road. The residential home development area is called MonteVista Homes. 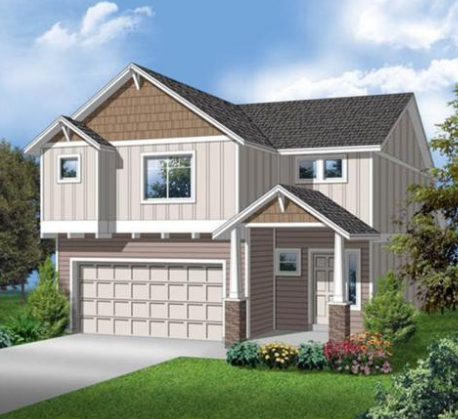 There are 10 available floor plans of 1-story homes ranging from 1,485 sq. ft. to 2,708 sq. ft. There are also eight different floor plans for two story homes ranging from 1,602 sq. ft. to 2,489 sq. ft. If you cannot find a plan that meets your needs, any floor plan can be customized for a small redesign fee. Each plan includes a substantial list of optional amenities. The builder is Chet Antonsen, who has been in the real estate industry since 1979.